There is a possibility that snow might fall on Table Mountain on Sunday, and if it does, hikers and tourists need to be extra careful as this might cause dangerous climbing conditions. There was a light dusting of snow on Table Mountain last year July and in August 2011, and records of snow on the mountain date back as early as 1853. 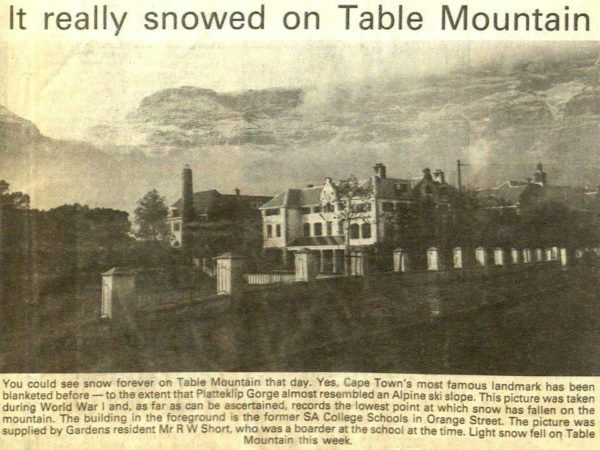 An old newspaper clipping showing snow scattered on the mountain is being circulated. “Good morning SnowReporters! 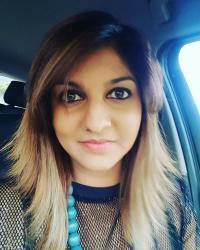 The severe cold front is still due to begin impacting the Western Cape from Sunday morning, and the first snow is expected to start falling on the high peaks in the South Western Cape by late afternoon on Sunday. 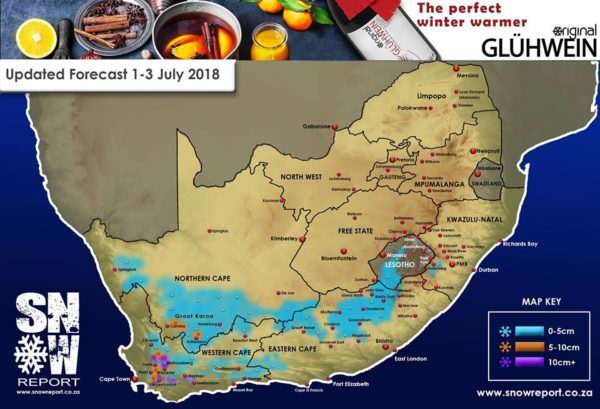 By the early hours on Monday morning, we expect there to widespread snow over all the high peaks in the Western Cape, and some lower level snow could also be falling in the Ceres area. Table Mountain currently has a forecast to receive around 7cm overnight on Sunday, so we may get to see some on Monday morning if we are lucky. The Matroosberg peak could get as much as 40 – 45cm, and the reception area may also receive as 10cm. 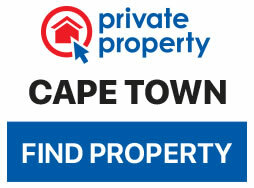 25cm seems possible on the peaks of the Cederberg with 10cm to 15cm lower down. 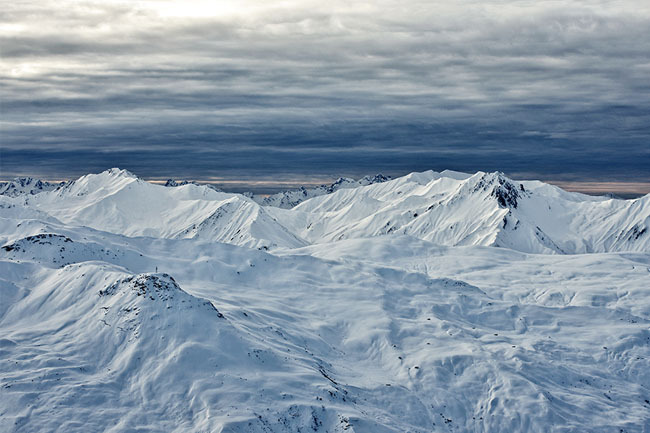 The Sneeukop at Wellington can expect up to 40cm on the peak and 10 to 15cm lower down. Monday morning should also bring snow into the Northern Cape, with Sutherland and Calvinia currently expecting the heaviest falls, but widespread light snow is expected over quite a large area of the Northern Cape on Monday morning. At the same time as the front moves east, we are expecting nice snowfalls on the Swartberg and Outeniquas (and all major ranges between Worcester and Uniondale) during the early hours of Monday morning. By midday on Monday, we should see some light falls extending into the Eastern Cape, but the forecast has changed substantially for this region, and now only light dustings (<5cm) seems possible. The Barkly East and Lady Grey areas are likely to see the heaviest falls during Monday afternoon. The snow in KZN and the Drakensberg is virtually non-existent now, with some possible flurries in the KZN Midlands (between Impendle and Underberg) with not much, if any, settle being possible. These flurries are due to happen during Monday night. Any snow in Lesotho will be confined to the interior and south west areas, and once again, we are not expecting anything over 5cm in these areas. If you would like to take a drive out tomorrow to find snow, here are some places not to far from Cape Town with the best snowfall.